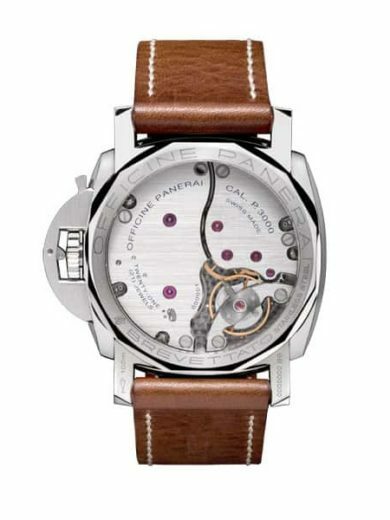 SKU: 03-04558. 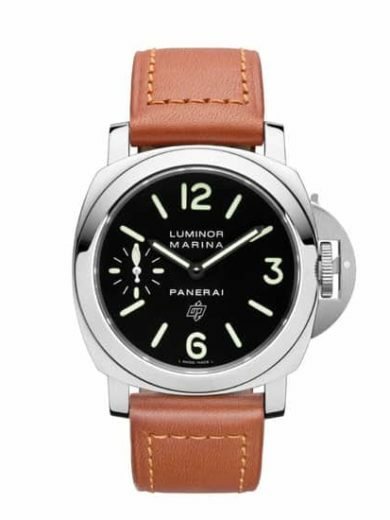 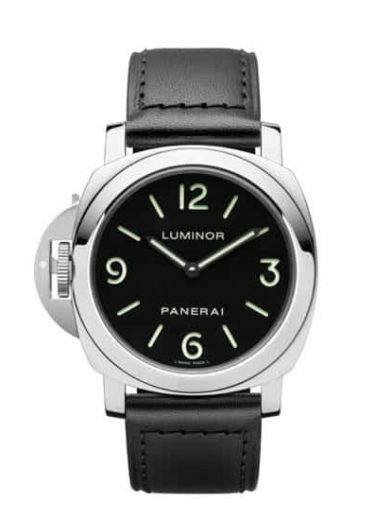 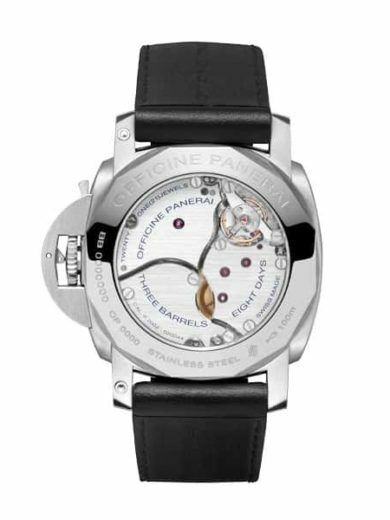 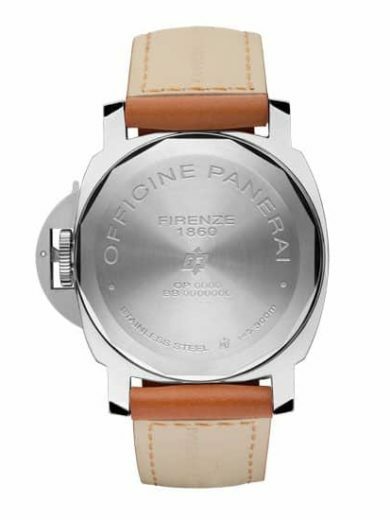 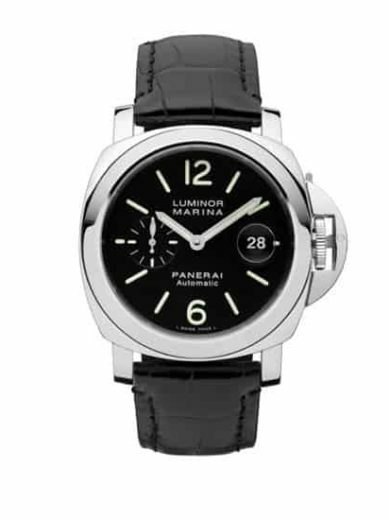 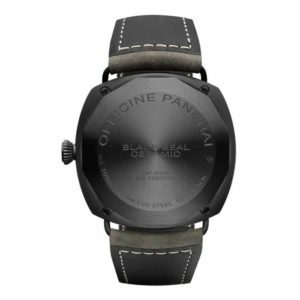 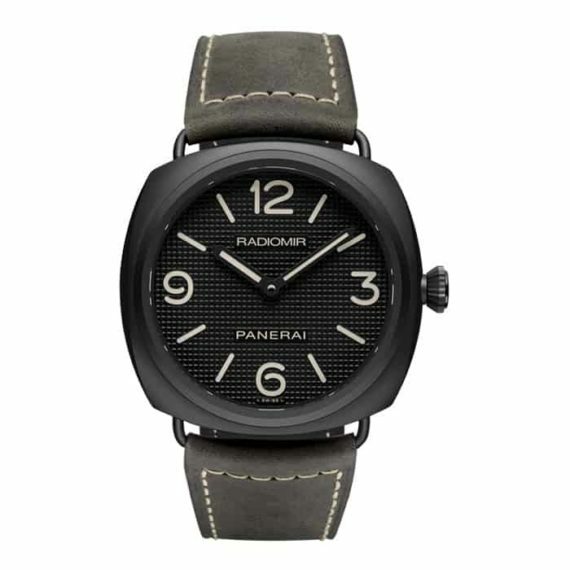 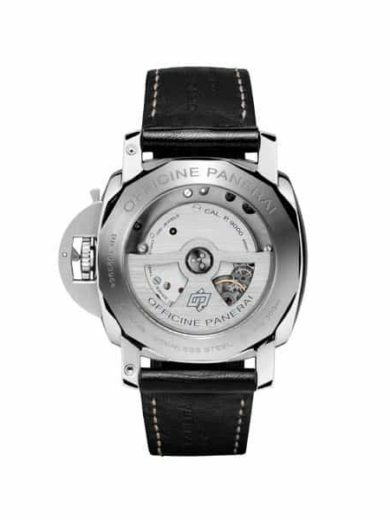 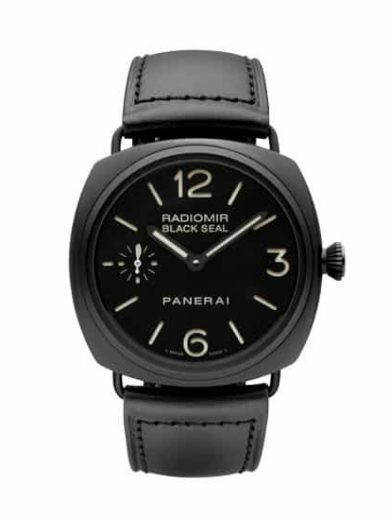 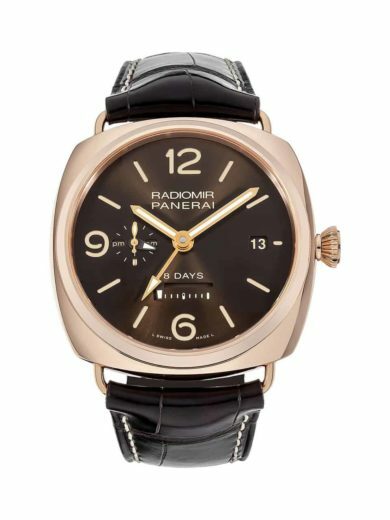 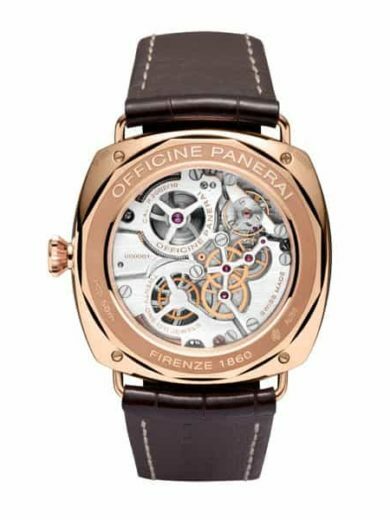 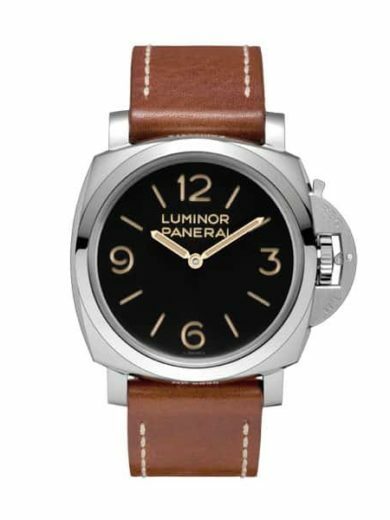 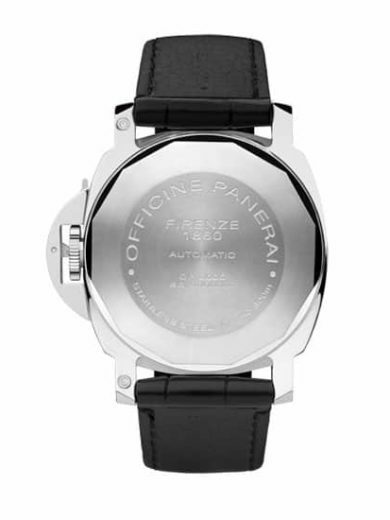 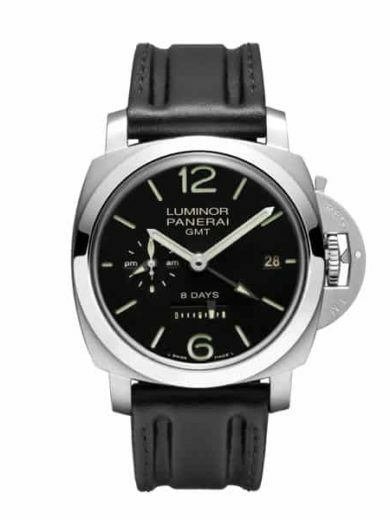 Availability: 1 in stock Size: N/A Category: Officine Panerai. 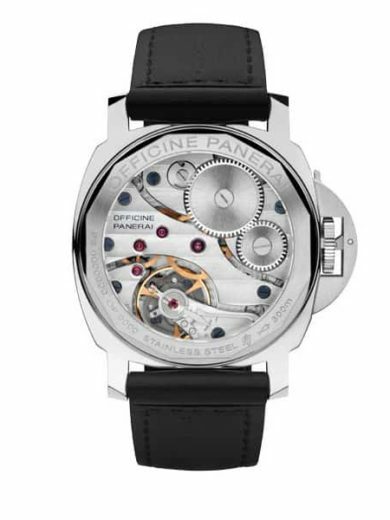 Hand-wound mechanical, exclusive Panerai OP X calibre, 16½ lignes, 17 jewels, Glucydur® balance, 21,600 alternations/hour. 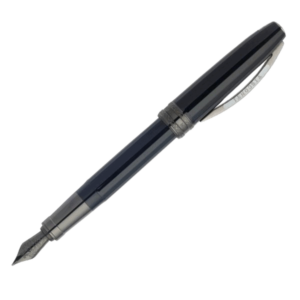 Incabloc® anti-shock device. 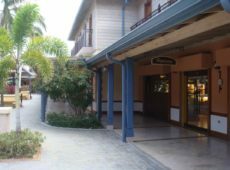 Swan’s neck regulator. 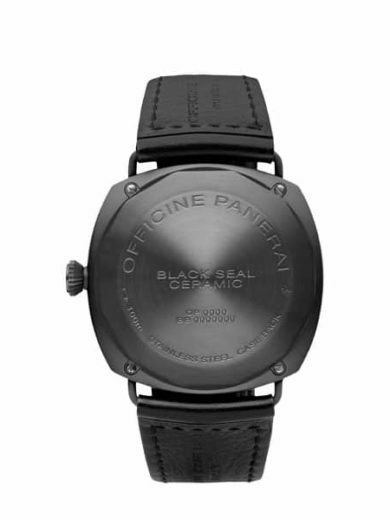 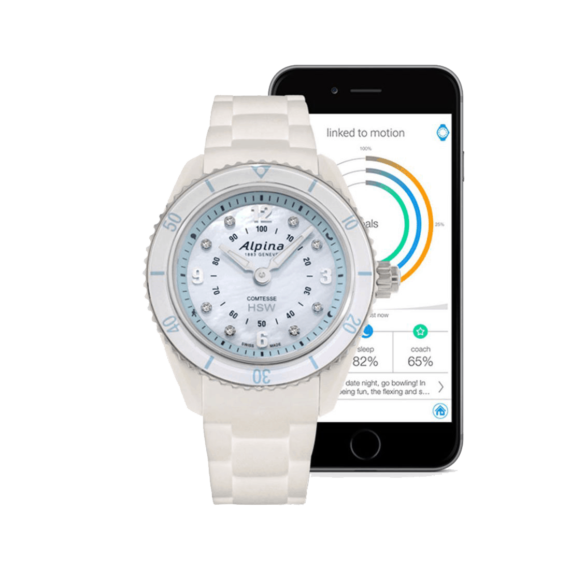 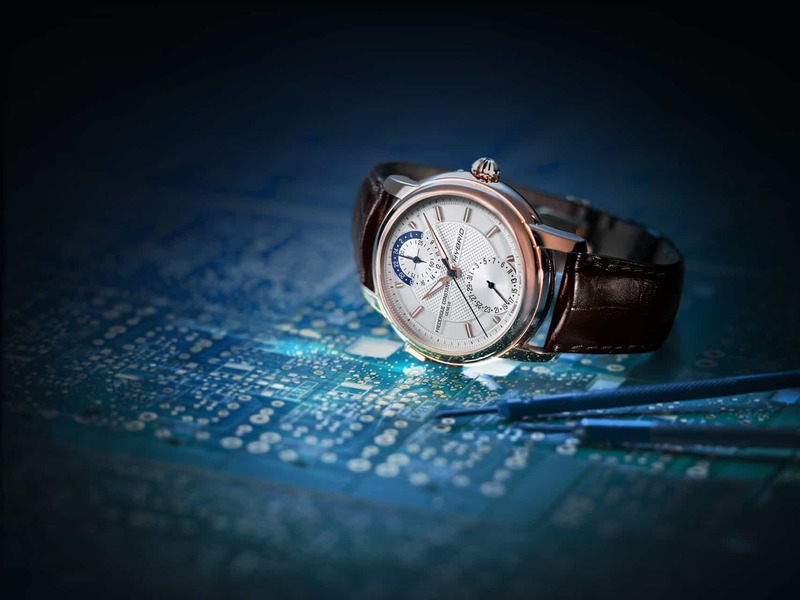 Power reserve 56 hours. 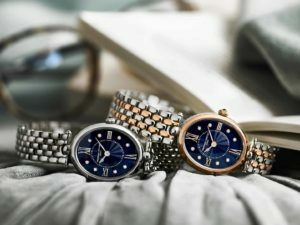 Côtes de Genève decoration on the bridges. 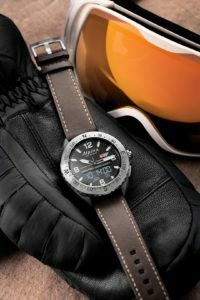 Diameter 45 mm, matt black ceramic with removable wire loop strap attachments (patented). 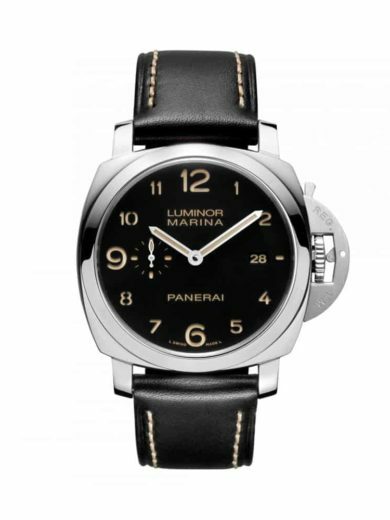 Black with Paris hobnails with luminous Arabic numerals and hours markers.